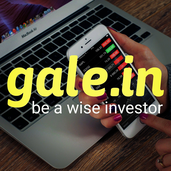 About me Admin, Gale.in: be a wise investor. SHORT Tech Mahindra Below 788. Target 780. SL 794. Reduce Bata below 1250. Target 1230. SL 1256.5. Low risk call. Sell Eveready below 202. Target 198 and 194. SL 205. Enter MRF 56250-56500. Target 56950 & 57250. SL 55750. 2 sessions. Buy LTCBTC above 0.01220. Target 0.01260. SL 0.01203.